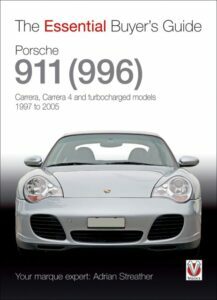 Today, two more books from our Porsche Bookshelf Giveaway, courtesy of Motorbooks. There are four buyer’s guides included in the bookshelf giveaway. The two we’re looking at today are a couple of my favorites, and part of The Essential Buyer’s Guide series. Each covers a different model such as the Porsche 911SC Coupe, Targa, Cabriolet & RS for model years 1978-1983, and Porsche 911 (996) Carrera, Carrera 4 and turbo charged models for 1997 to 2005. These are pocket sized buyer’s guides designed to be taken with you when you go look at different cars. The books are easy to digest quickly giving you some advice about what to expect when looking at a car, tools to take and things to consider. Some general advice on pricing and problem areas are also included. What I like about these books are the handy size and the preparation they give you for the pre-purchase inspection process. I’ve found with a little practice, you can pretty easily evaluate a car, ruling out ones that just aren’t worth your time. The specific nature of each book in the series lets you focus just on the model and/or years you’re interested in. This all works to your favor helping you narrow your focus and be as prepared for the purchase process as possible. The books have two sections that are particularly useful. First is a 15 minute inspection. Quick things to evaluate whether or not a car is worth a deeper look. If the car you’re looking at passes this initial inspection, a more serious evaluation, with a host of things to inspect, then rate the condition of each between 1 and 4. This can be very useful for helping you take an objective look at a car. All in all, I’m very impressed with these books and plan on taking one with me as I look for my next Porsche 911 early next year. Both are available, along with others at Motorbooks.com. You can also find them at Amazon.com: The Essential Buyer’s Guide. If you’d like to win copies of these books along with 8 other stellar titles, courtesy of Motorbooks, you just need to sign up for our newsletter. A winner will be drawn from those on our list. 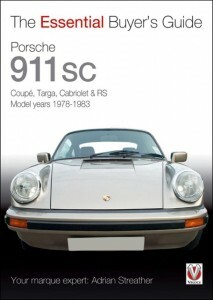 You can see all of the details in this post: Win A Porsche Library Courtesy of Motorbooks. Entries must be received by Sunday evening, so we’re on the home stretch! Thanks Motorbooks for the review copies of these books and the great giveaway!